So my coast-to-coast rail trip in the USA this year enabled me to gaze upon these beauties as I sat in my Amtrak seat, slowly gliding towards my destination. I thought I’d taken more pictures, but sometimes it was too dark to really get a good shot, or the train was moving too fast (rare but did happen.) I hope you will enjoy these pictures as much as I enjoyed taking them. Some of the locations are guesses as it’s hard to know when you’ve crossed the State lines – if you know exactly where these towers are, let me know! One famous water tower is the Gruene in Texas, next to the State’s oldest music hall. I was lucky enough to be taken to a concert here by the friend I was staying with outside San Antonio. 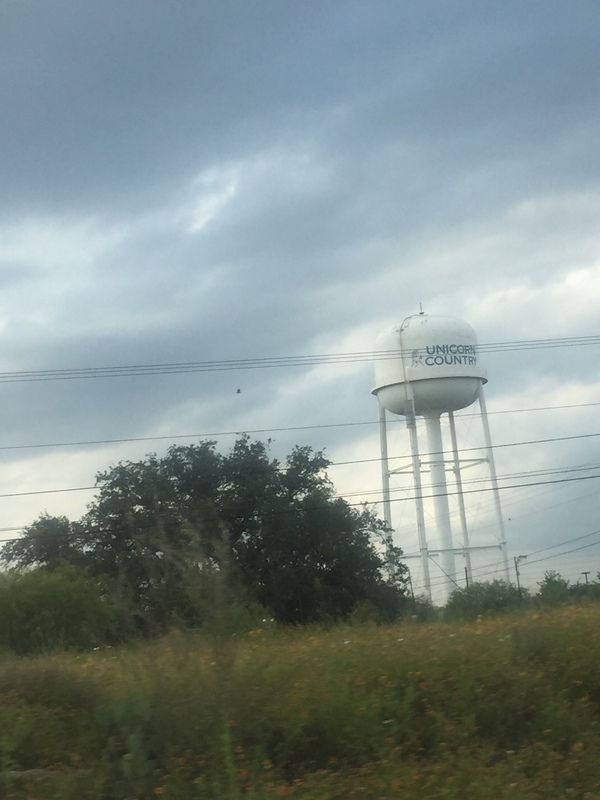 The sight of a water tower with ‘Unicorn Country’ written on it, especially in Texas, made me laugh. My friend informed me the Unicorns are a local sports team at New Braunfels High School, a town originally settled by German immigrants. This one really did look like some kind of silent alien waiting to pounce after the humans have gone to sleep. IT’S THE DEL MONTE TOWER! 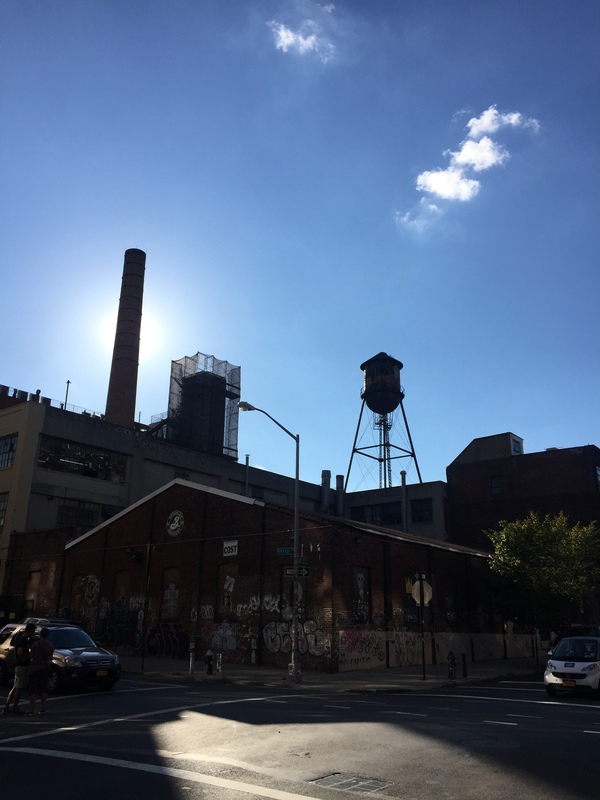 And finally, where the water towers are very famous…New York City. This one is in Brooklyn. This entry was posted in Travel and tagged Travel, USA, Water Tower. Bookmark the permalink.